I haven’t done a WIP post in quite a while because most of my blogging (and sewing!) energy has been going to the barn door quilt along. Now that that’s on auto pilot until the last linkup on March 3, I’ve got some time on my hands. 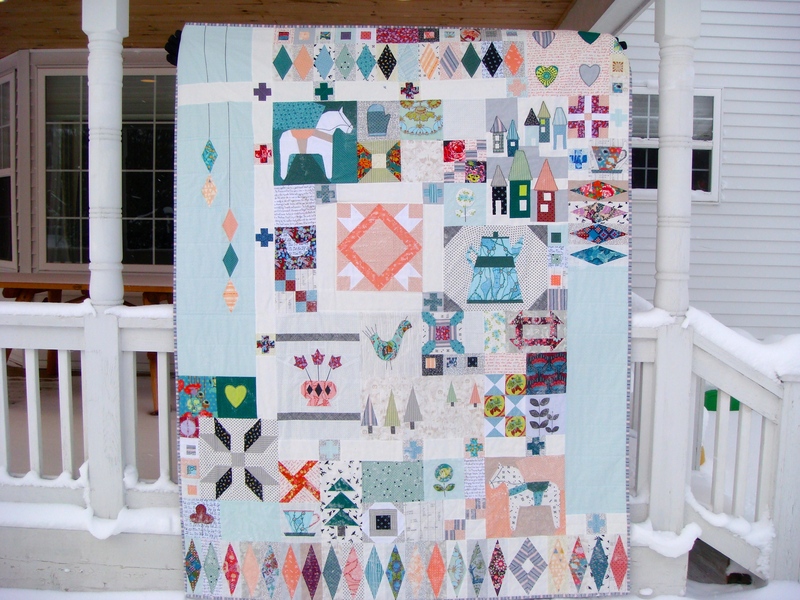 A lot of my amazing quilt friends are doing the Gypsy Wife quilt along. I was holding out for this reason and that, but yesterday I finally caved and ordered the pattern from Westwood Acres. I also ordered this bundle of stripes because every time they post a new bundle of stripes my brain refuses to function until I order it. Probably won’t be long until I get this one too. So pretty. I just love the way that dots and stripes look with florals, and that just so happens to be the inspiration behind my first fabric pull for my gypsy wife quilt. 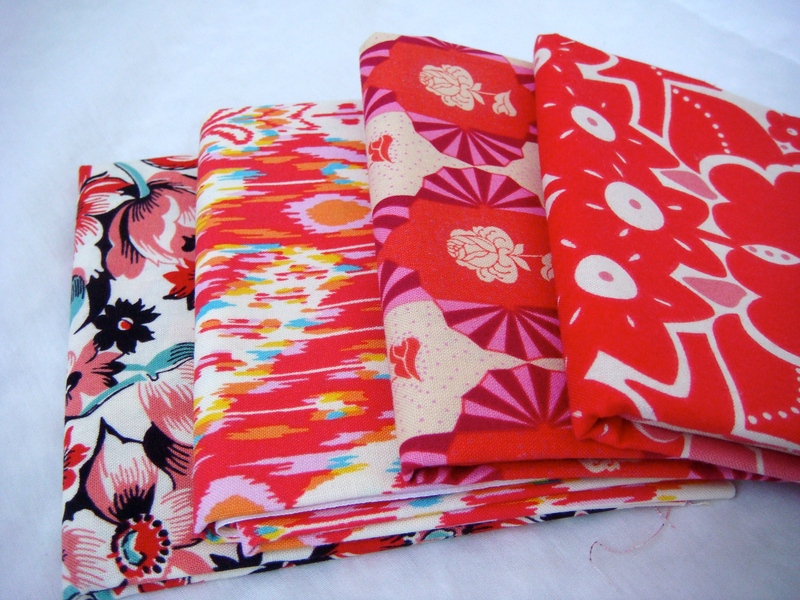 My fabric pulls often start with a simple desire to use certain (usually new) fabrics. I knew I wanted to use some of the dots & stripes bundles I’ve been ordering. I knew I wanted red because I haven’t used it in any of my recent projects. Bonus that I finally get to cut into Color Me Happy! I’m in the mood for something a little softer and prettier after barn door II. I’m also trying to push myself to use more than just 3 main colors in a quilt. Penny sampler was mostly peach-orange, teal-aqua, and a little purple. Barn door II is primarily blue, green and orange. 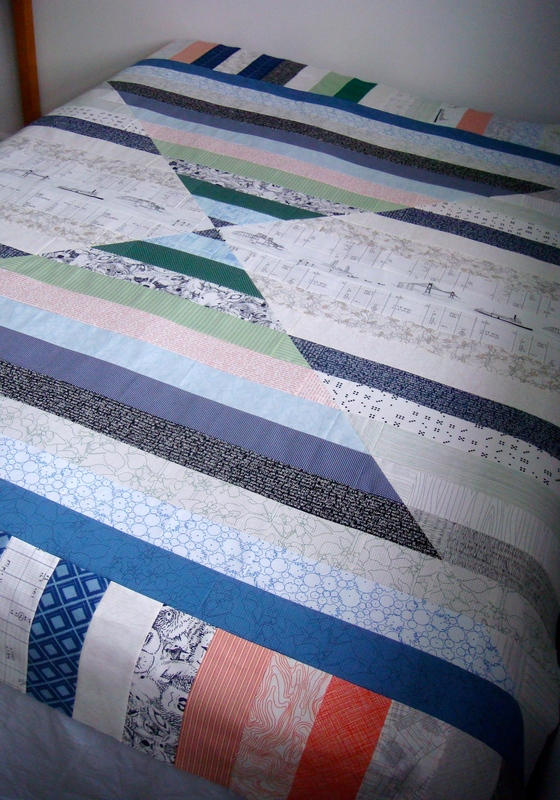 I’ve gotten comfortable using a lot of different fabrics in the same quilt, but now I’d like to try more colors. This pull is red-pink-green-blue-yellow. Pretty colorful, for me at least. I can’t wait to make my first block! You can bet I’ll be doing that within moments of the pattern’s arrival, which could be as early as Friday. It’ll probably pop up on Instagram first so come check me out (@sarahschraw) or keep your eye on the sidebar right here on my blog. 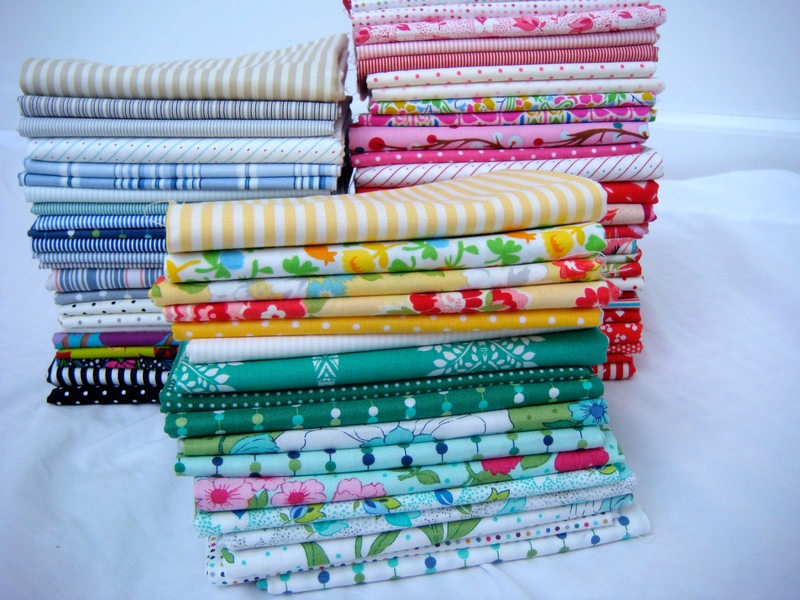 If you’re interested in the quilt along but would rather WIN the pattern than buy it, head over to WIP girl! She’s giving away a copy (giveaway ends Feb 11). I’ll be back Friday to share an old WIP I finally finished. If you remember the “wish I had a girl” quilt, you’ve been hanging around here since the beginning! This entry was posted in Uncategorized and tagged Fabric selection, gypsy wife. Bookmark the permalink. Have fun with the gypsy wife! I cannot wait to see how everyone’s quilts come together – especially with all the very different fabric pulls I have been seeing for the project. 1. this fabric pull is killing me. 2. i’m so glad you joined. 3. this fabric pull is killing me. 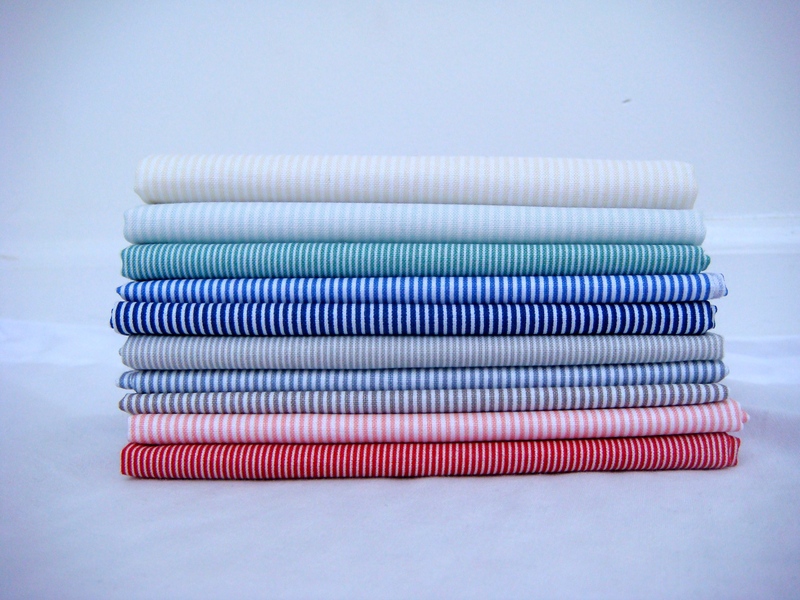 Great colorful fabric pull! You’re going to rock it, I’m confident. 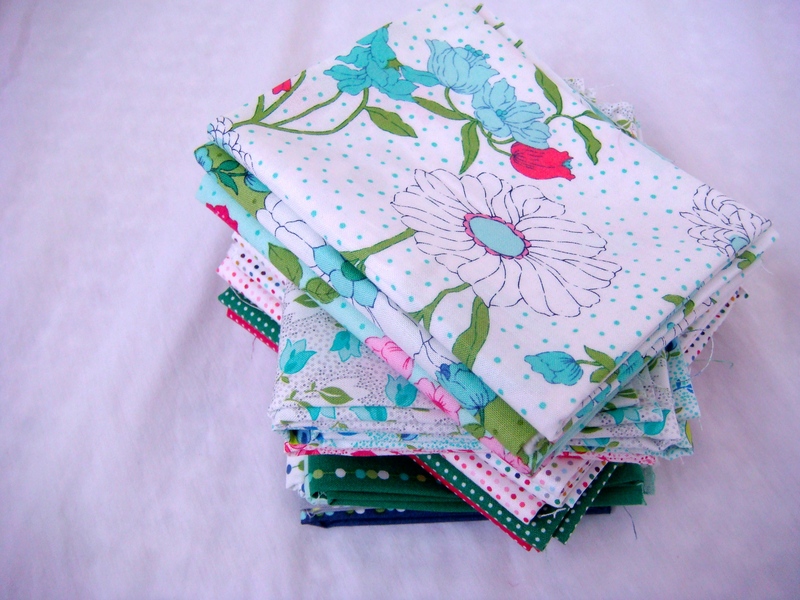 OOoooo…this quilt is going to be so colorful and fun! I think this is a great pull! So bright and cheery yet crisp somehow. Good for you for stretching yourself with your color palette! That’s a great idea since you have obviously mastered the 3 color quilt. This is the perfect quilt for that. I love those stripped fabrics too. Love your fabric pull! Gypsy wife pattern looks fabulous and very tempting! Enjoy.